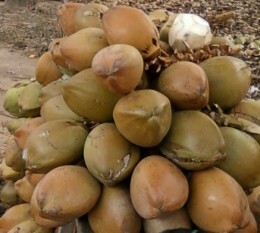 Hindi- Nariyal ka pet, Nariyal(coconut). Sanskrit- Narikela, Sandaphala, Trinadruma, Dridhaphala. It helps improve the quality and strength of hair and promotes hair growth. Coconut oil is useful in the treatment of diseases like emaciation, debility, respiratory conditions, diabetes and urinary system disorders. When applied on wounds, it quickens the healing and helps in filling up of skin depression in wounds. Massage using coconut oil not only improves hair growth but also restricts dandruff. Body massage using coconut oil is good for dry skin. Regular use of coconut oil prevents skin diseases. But the modern dietary guidelines categorize coconut oil as a food to be avoided. According to them coconut oil is fatty and will increase the cholesterol level. 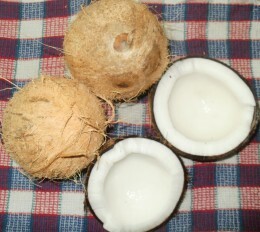 In state Kerala, coconut oil is used in almost all dishes. If coconut oil is said to increase obesity, then Kerala should have been filled with obese people, which is not the case! Coconut oil is used there as a food ingredient and as a medicine for external application and for internal administration. It is an integral part of Kerala's lifestyle. Coconut oil is now known to contain a unique form of saturated fat that actually helps prevent heart disease, stroke, and hardening of arteries. The saturated fat in coconut oil is not like the fat found in meat or other vegetable fats. It is identical to a special group of fats found in human breast milk which have been shown to improve digestion, strengthen the immune system, and protect against bacterial, viral and fungal infections. Virgin Coconut Oil(VCO)- is coconut oil that is not refined, bleached or deodorized. Most of the coconut oils found in the market are refined and they are not healthy for intake. Reports and studies shows that regular intake of virgin coconut oil brings increased energy levels, fewer carvings for carbohydrates and sweets, and satisfactions of being full after a meals. The repeated eating habit thus come to an end by itself. So now it is a known fact that the weight loss associated with coconut oil is related to the length of the fatty acid chains(instead of saturated fatty acids coconut oil contains medium chain fatty acids). So virgin coconut oil is unique in nature which the usage will leads to increased metabolism and weight loss. 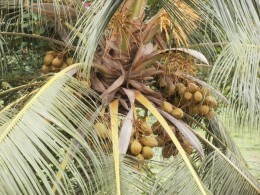 Coconut oil is used and it is the base for the preparation of many herbal medicines. Some of the common herbal formulations are Karpooradi coconut oil, Eladi coconut oil, Kayyanyadi coconut oil, Dhurdhurapatradi coconut oil and Chemparatyadi coconut oil. 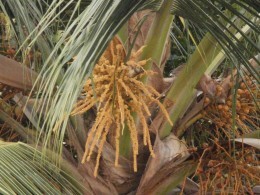 Hair oils are often prepared using coconut oil. It is a good skin softener and moisturizer. For a normal healthy person including a small quantity of coconut oil in regular diet will give only health benefits. According to Ayurveda, coconut oil is nourishing in nature when taken internally. Hence it is used in conditions like debility, emaciation etc. It is natural coolant and is found given good results in conditions like eczema.